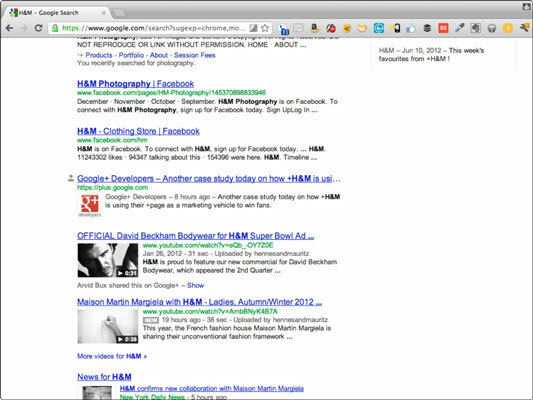 Articles your friends have +1’d and shared related to the terms you’re searching for: Google now ranks the URLs and articles your friends have +1’d and shared right inside Google.com search results. A combination of how relevant the URL is, along with how many people have +1’d or shared the article, determines how high that URL appears on your search results. Now, in addition to traditional SEO, you’ll want to get people sharing and +1’ing your website as well. Posts your friends have +1’d and shared related to the terms you are searching for: In addition to URLs and articles, posts that your friends have shared on Google+ will start appearing in Google search results. As a marketer, you should also start optimizing your posts on Google+ to rank well on the keywords you want. Pages and people: In some cases, people or pages related to your Google search will appear in the right column of Google, with the option for you to circle them. For instance, if you search for Google, you see relevant Google-related Google+ Pages appear in the right column. Metadata taken from Google+ to improve the look and feel: If you include the proper tags on your website to identify a Google+ profile behind the content on your website, Google.com search results will return the profile image — and the name of the author behind the content on your site. 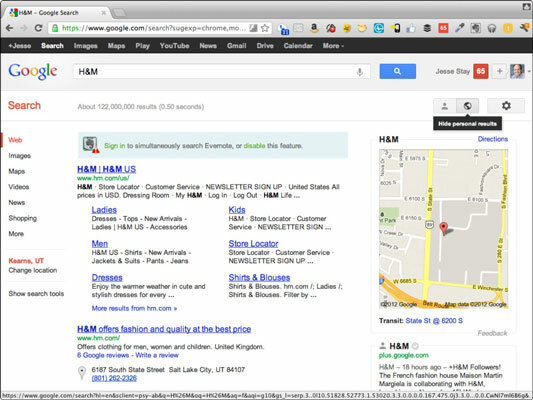 It also provides the option to circle the individual, right inside Google.com search results. The option to +1 right in the search results: As on your website and in posts, if you +1 an article in Google.com search results, your +1 gets tabulated in deciding future search results for your Google+ friends. This means that encouraging your followers to +1 search results can also help you rank higher on Google. The option to circle your favorite brands right from Google search results: If you’re searching for a brand that has a Google+ Page, depending on how long they’ve been around and what their follower count is, you may see the brand at the upper right of your search results . 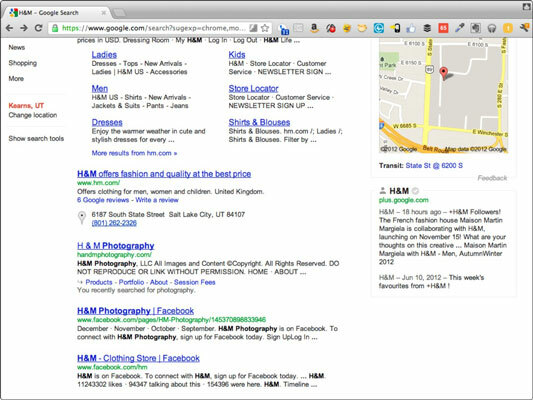 As on Google+, you can circle that brand right from Google.com search results. You can turn off Google’s social features by clicking the little globe icon (next to the icon of the person’s head at the upper right) to turn off Google’s personal search.